It's the shoe everybody is talking about. Last weekend, adidas and Kanye West finally released the "Pirate Black" Yeezy 350 Boost Low, selling out globally in a matter of minutes. If you missed out, there's still a small chance you'll win a pair when Yeezy Supply announces random raffle winners next week. Those who did lock down Yeezys, but didn't receive them from a reputable retailer may have some concerns as to whether or not their pair is legit. To answer those questions, Fake Education is back with another breakdown, but made an interesting discovery in the process. Unauthorized (or fake) pairs are getting better, and this was one of the tougher legit checks to date. Read on for the tell-tale signs. Fake Education: "Notice within the highlighted green area the rectangle stitching around the red stitching. On the retail pair it is centered on the heel pull, but on the UA it is aligned to the right NOT centered." Fake Education: "With previous unauthorized Boost lows, the heel tab placement was off, but here it is so close to the placement of the retail that it would be damn near impossible to tell in hand." 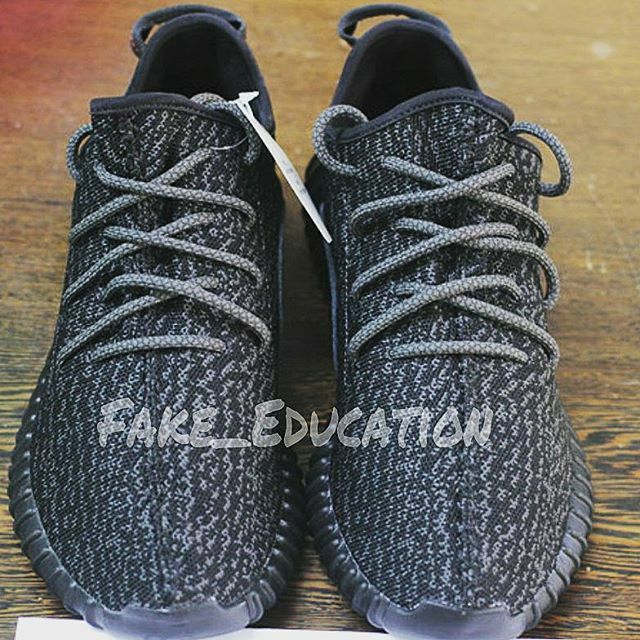 Fake Education: "On previous unauthorized Boost lows, a key flaw was the placement of the inside perforation holes, but here you can see they are the same."